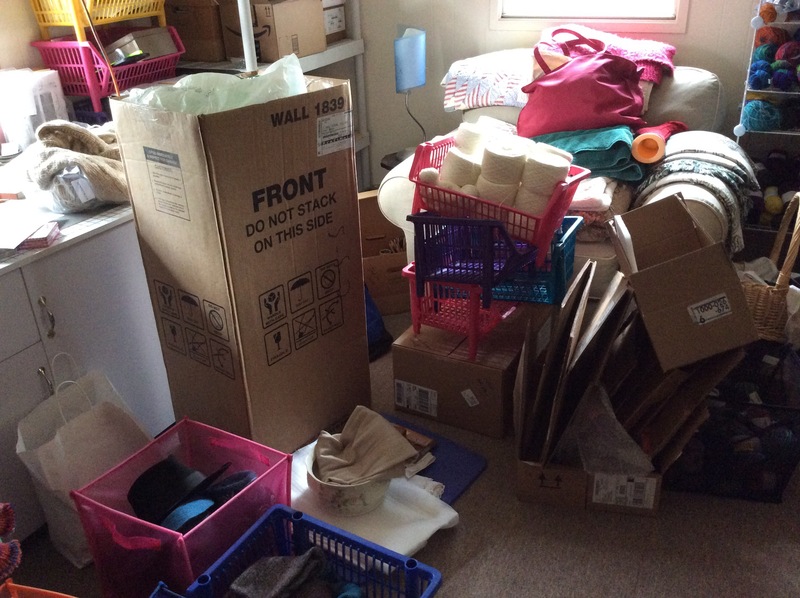 Our move date is nearly here and the house is filling up with boxes. Stacks of empty ones to be filled and stacks of packed ones ready to be transported across the yard to the new house. There is much to do still. I’ve not been very organized about this so far so there is much disarray as you can see. But for some reason the most pressing obligation this morning was some quiet time with my poor neglected spinning wheel. Today I was practicing plying. 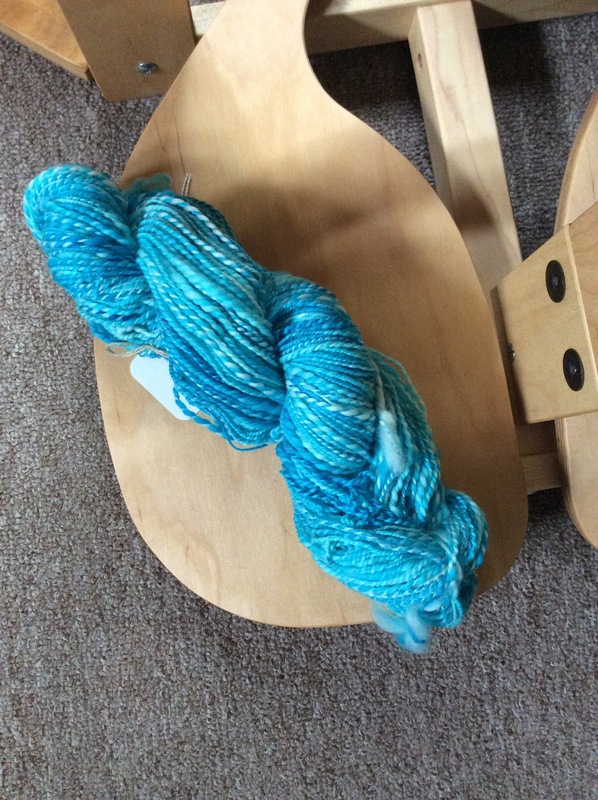 I’ve spun some fun blue and white merino and filled bobbins. I’m plying my singles into a two ply yarn. I finished the first skein a couple of weeks ago and just filled the second bobbin which is ready to wind into a skein. But now the packing calls. Quiet time is over and there is work to be done. My new studio awaits. I somehow missed that you are moving–did you build a new house right near your old one? It’s nice that you have access to that spinning wheel, so you can make a little bit of pretty along the way! I haven’t been talking about it too much. Yes, just a few feet away from the old one, which we’ll tear down. 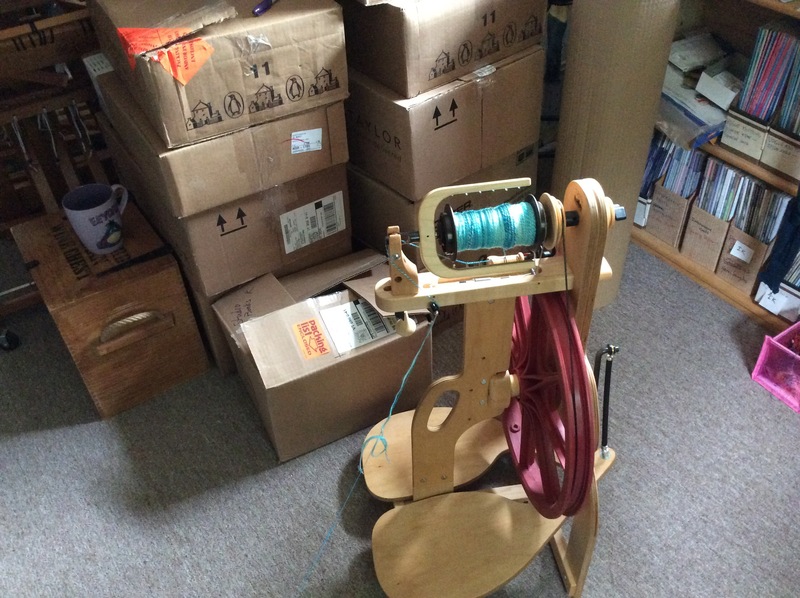 Don’t get to the wheel as often as I’d like, and surely don’t need any more yarn, but I do enjoy the process and am starting to understand what’s happening and how to change my results.